Contacts are essential elements in any device. Everyone needs contacts on his phone or computer in other to be connected with his friends or family. If you are using an iPhone, you can sync your contacts easily with iCloud. However, some settings need to be enabled on your phone to do this. On the other hand, if you have contacts in your Google Drive or Gmail, you can also sync them. Syncing contacts from Google drive is a simple task as well. So many times it happens when you transfer your contacts from one device to another or from one account to another. You cannot copy paste all the contacts one by one. So you will need to know some methods if you want to import Gmail contacts to iCloud account. 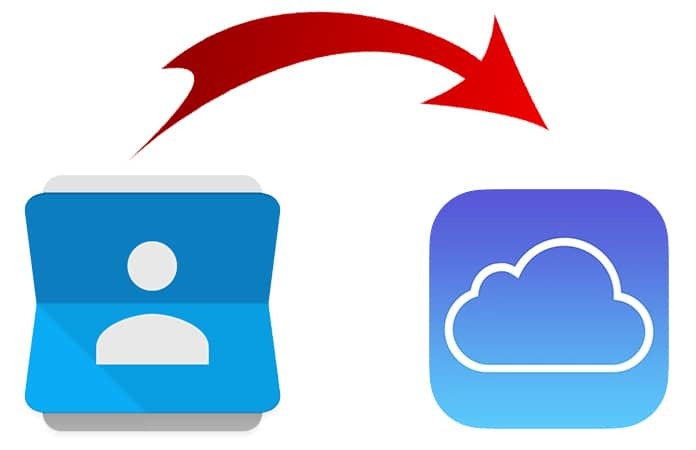 Today we will tell you how to transfer Google contacts to your iCloud account. Both of these accounts are entirely different. So, most of the people think that they cannot do this job. However, you will need a computer or Mac to do this job. 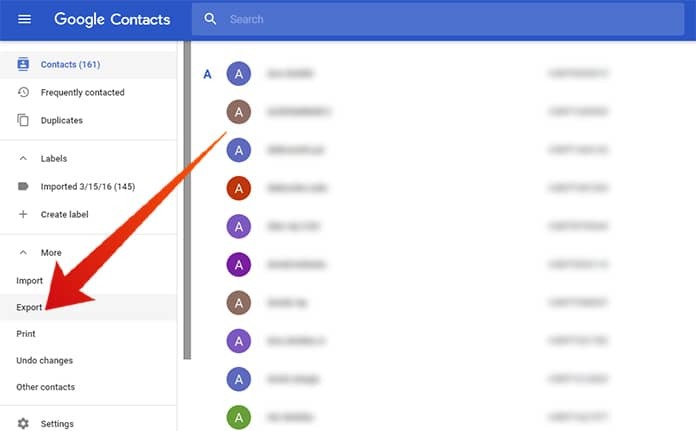 In order to import Google contacts to iCloud account, you will need to first save the contacts in your system and then import your Gmail contacts to your iCloud account. The whole process is straightforward and just takes a few minutes. Here is how you can do this. 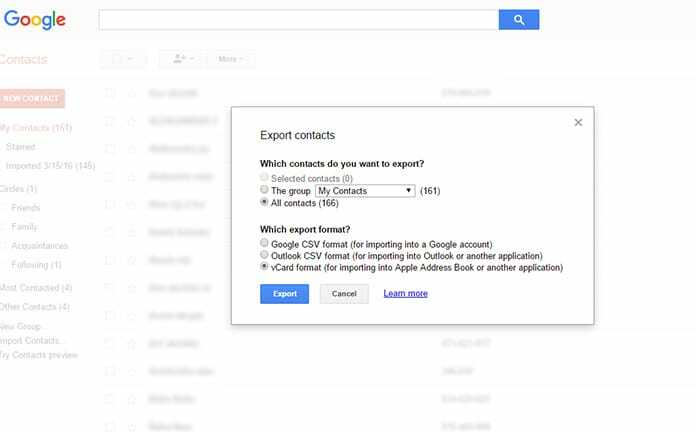 Before importing Gmail contacts, you will need to have a copy of your contacts on your computer. The only way to do this is logging in your Google account. So follow the process below to import contacts on your computer. Step 2: Now sign in your Google account by providing email and password. Step 3: On your Google accounts screen, locate the option named More on the top. Step 4: Now tap on export. You will see a couple of options here including the types of contacts that needs to be imported. Step 5: Select the vcf file format from the list. Step 6: Now you can save the files on your computer. The second procedure is importing the contacts in iCloud which are on your computer. The process is quite similar to the previous one. You will need to open your iCloud account and then import Gmail contacts to iCloud account. Have a look at the second procedure below. Step 1: Go to iCloud.com and login to your account. 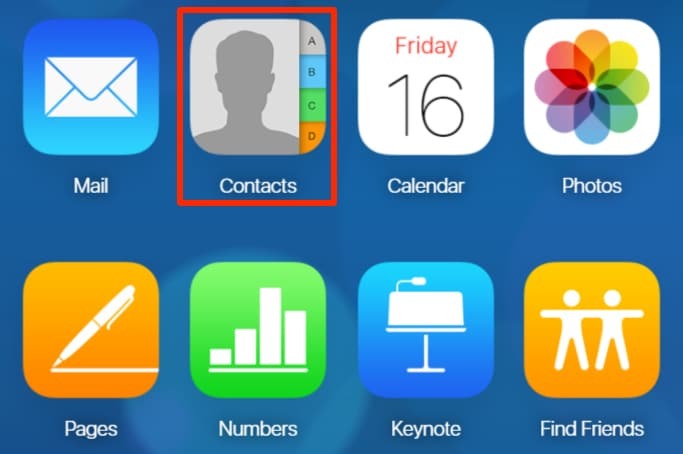 Step 2: Now open the contacts in your iCloud account. Step 3: In the bottom left corner, click on More option. You will see a dropdown menu with different options. Step 4: Click on Import vCard option from the list. 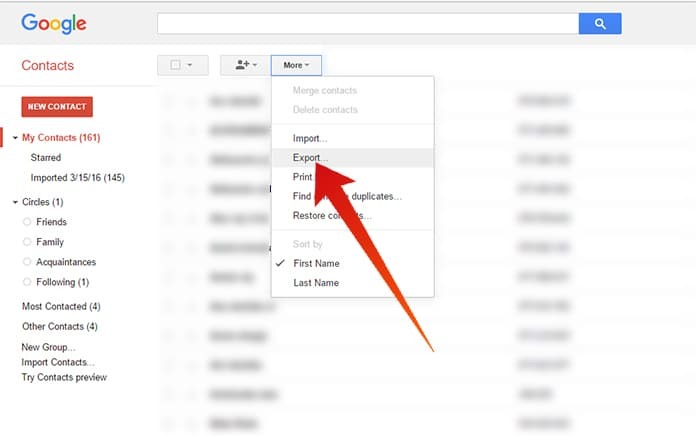 Step 5: Select the contacts that you imported in your computer from the Google contacts. You are all done! The contacts from your Google account has been imported to your iCloud account successfully. 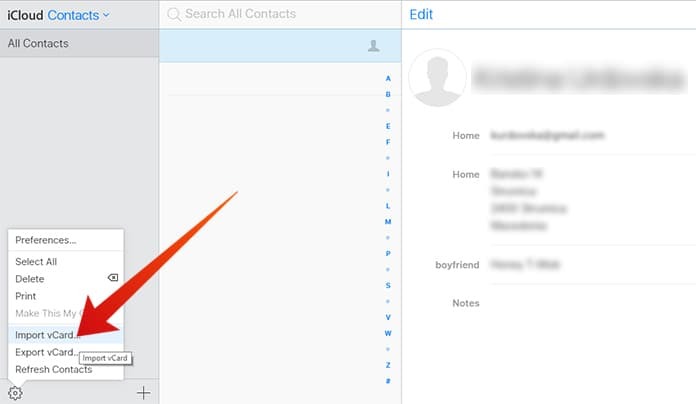 Now you can use the contacts from your iCloud account as well.